The Xbox One seems to be designed for the person who wants to take multitasking to the ultimate level. The conference showed how a person can switch from playing a game, to watching live TV and then deciding to make a Skype call while the video was still playing. I like being able to quickly switch between application; a responsive UI is good for user experience. 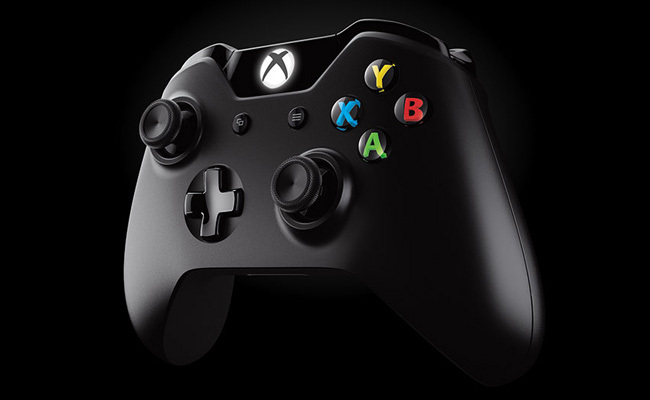 The Xbox controller looks to improve the horrific D-Pad of the 360 controller. The Xbox One console is a throwback to the original Xbox blocky size. Where is the drink holder from the original? Black is a good color for electronics; it exudes a high-end sleek style. Aesthetically, the console looks to be very large and bulky. Let me put it plainly, the future of technology is scary because it is enabling people to be even more glued to their Xbox. This will be a huge victory for Microsoft because they have recognized that most people using the Xbox 360 regularly for Netflix, videos and music. The reality now is how I use my smart TV to watch Netflix, stream networked music and videos and watch YouTube. Adding live TV to this mix will be an incredible value and will be enough for people to buy Xbox Live memberships. 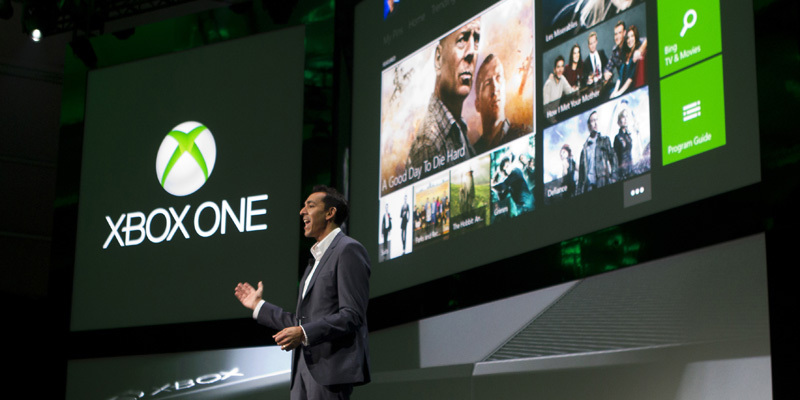 When Microsoft controls people’s primary input of entertainment on their TV, they will have a powerful hold on consumption of digital content. The NFL channel and the Fantasy Basketball options for Xbox One are a tactical move that will pay off with the core male crowd. I really don’t want to be recognized by my console. Call me paranoid because I am paranoid. There is no reason I want the Xbox One to log me in with my face. It’s not too much work to select your name from a menu to login. I don’t need nor want my friends to know I just unlocked an achievement through Facebook or Twitter. 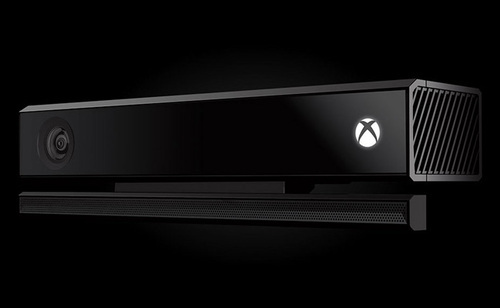 I am very happy with the announcement of the 1080p camera for Kinect. There was no reason the PS3 Eye wasn’t HD in this era. The limb and motion tracking video Microsoft showed was impressive with the degree of body points followed. For all the right reasons, Microsoft held off on focusing on video games since E3 is coming up real soon. From the on-screen Forza video, the graphics don’t really make me think of a next generation of gaming. There is no large leap like there was from 2D to 3D, the unveiling of Gears of War, Uncharted or similar games. Being able to record your gaming sessions is a feature that sounds great on paper. Yes, you can choose record your awesome moments or plays. If a person is constantly uploading many videos to their profile, it’s unlikely any of their friends are going to care. It is extremely unlikely a random person online is going to watch your recorded videos. Microsoft is going to have to implement a very robust video system like YouTube to tag video content is there is just going to be a huge buffet of video with no labels. The biggest red flag of the next generation of gaming is the use of DRM, “always-on” connection and tying a game to a console. If a user installs a game to the harddrive and it is locked the username, then the used game market is kerput. This will not stand for people who trade in their games (I’m not one of them). Plus if new generation games cost $79, expect people to buy very few new games. Overall the Xbox One announcement was decent. Microsoft dispelled fears of the “always-on” Internet DRM debacle by not talking about it. 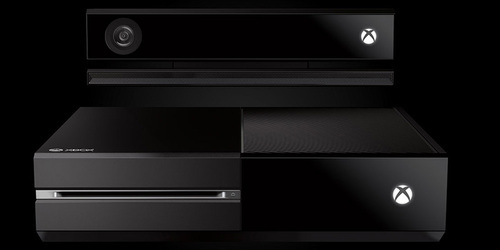 Kinect has been upgraded, robust multi-tasking has been added for better or worse and games were nowhere to be found. Please, few people are going to buy the console just for Forza. This Christmas season, are you more likely to get a Xbox One or a Playstation 4? I’m not going to purchase either currently at launch. With E3 in two weeks, what are you most looking forward to?